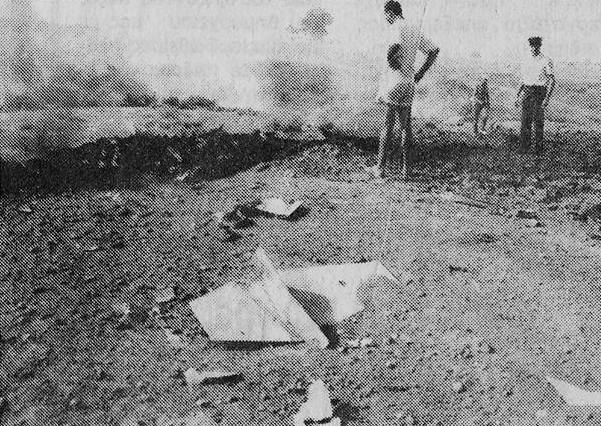 Just after take off (1:39 PM local) from Grosseto this F-104S crashed into sea, 7 miles SSE of Pianosa Island, South of Elba island. The pilot, Ten. Alessandro Brondi (25), was declared missing. He was flying in a formation of three aircraft to perform some low altitude training during a bit hazy circumstances over the sea. 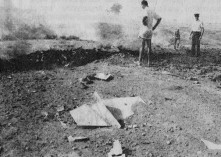 Formation leader Capt Lorenzo Costa suddenly lost contact and did not succeed in establish radio contact. 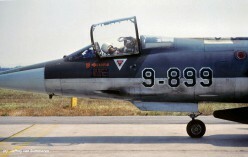 The Starfighter must have hit the water and around 2:06 PM a spot was seen in water where the aircraft had been crashed. The pilot was missing and after 2 months, on March 11th he was found entangled in the nets of a fisherman. He sadly died in this accident. It crashed near or at Balikesir Air Base. Pilot ejected safely. 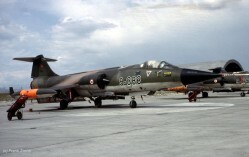 This Starfighter was operated from Decimomannu. 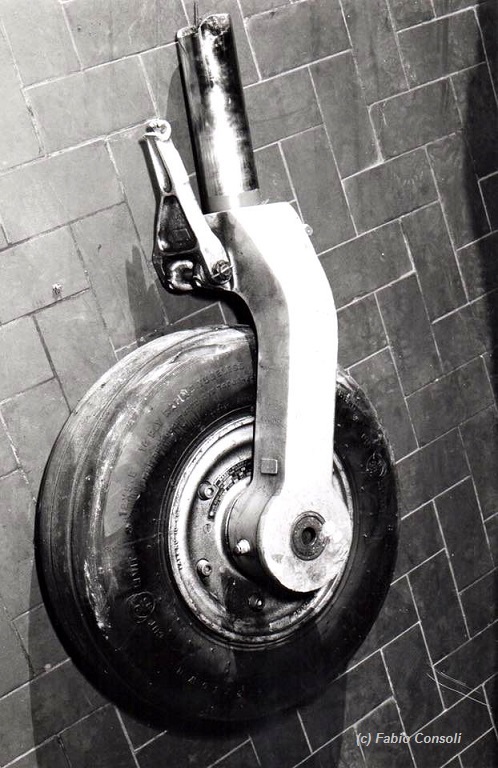 When it returned from a test mission with rocket pods on the Capo Frasca range, the nose-wheel strut broke on touchdown and the pilot, Fabio Consoli (RSV) was able to keep the aircraft in control and kept it on the runway until it stopped. 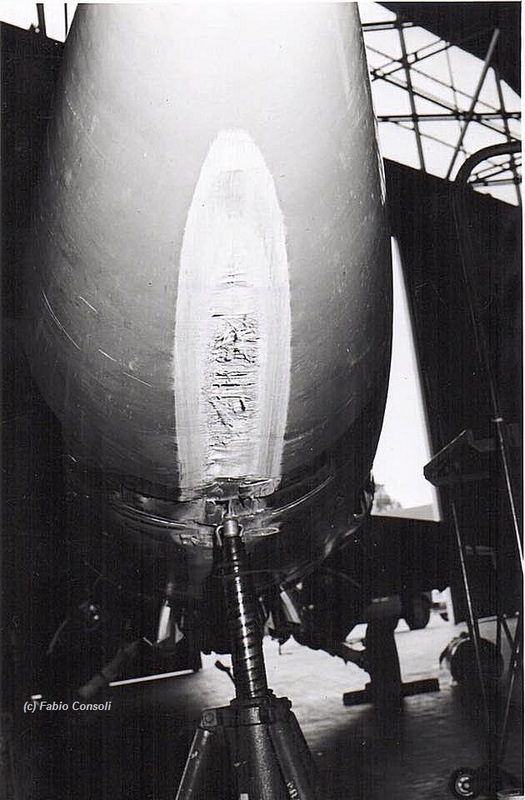 The front fuselage and radome were severly damaged but the aircraft could be repaired soon although it stayed a while in storage at Deci. 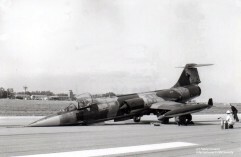 (USAF serial 62-12215) It crashed after it stalled during the landing at CCK sadly killing pilot Li Der-An. During training sortie the aircraft encountered a landing gear malfunction. The pilot made a low-pass along the tower for inspection of this problem. While he attempted to land the aircraft Stalled and crashed, North of Ching Chuan Kang AB. This Starfighter was written off when it crashed at the Kranea Weapons Ground when it encountered an engine stall at 3000 ft during a bomb run. Pilot 2nd Lt. Vasilios. Zisis ejected safely. The identity of the aircraft is still unknown. At least it was not 6678 which once was mentioned as the aircraft. This CF104 crashed in south-eastern Turkey sadly killing the pilot Hv. Plt. Ütgm. Cemil Kaya (26 years old). Both Starfighters crashed after a mid-air collision, trying to avoid two upcoming F-4E aircraft from nearby Andravida AFB. 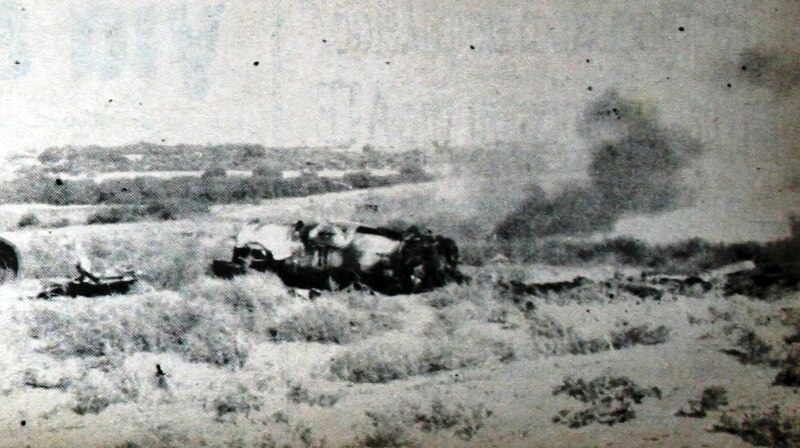 Both pilots 1st Lt. Panagiotis Ntardas (6664) and 1st Lt. Nicholas Martidou (7082) ejected safely. Both aircraft were on their way back to Araxos AB and around 2km from the 117PM airbase of Andravida, they crossed the pattern of two F-4E phantom aircraft which just took off from their airbase Andravida. To avoid a collision with the F-4s both Starfighters had to make a turn but accidentally hit each other during this manouvre. Both pilots could eject in time and were safe. Both Starfighters crashed into the ground near Iteno Ilias. 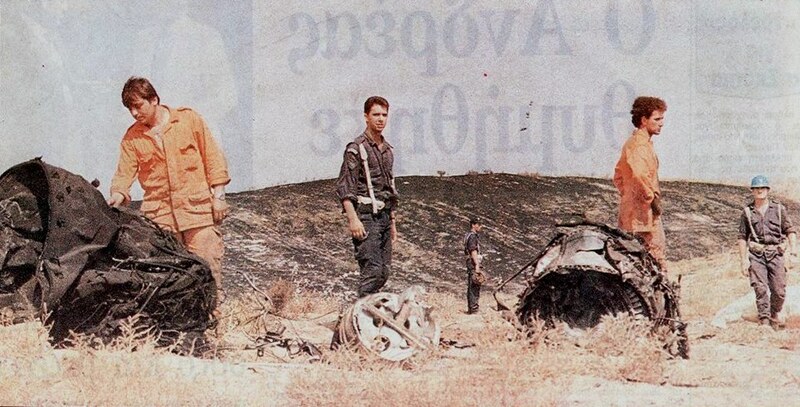 Beneath some photos which were published inside newspapers Patris and Apogeumatini (thanks to Dimitris Adamopoulos) taken at the crash site just after the accident. It crashed near Akhisar, Manisa. 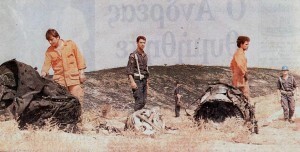 Pilot Lt H. Sinan Erkan (29) was sadly killed. Photo beneath was taken at Balikesir in July 1990 by Jeffrey van Summeren.